The C3W Human Dimensions of Climate Change Conference, is taking place at Aberystwyth University’s Department of International Politics. With an audience of international guests and distinguished contributors the 3 day event is grappling with the implications for food and water security across Africa. Jean Ping, Former President of the African Union gave the Plenary address at the end of Wednesday’s session whilst on Thursday Wales’ Minister for Natural Resources and Food, Alun Davies spoke about National and International responsibilities. Lord Mark Malloch Brown, past United Nations Deputy Secretary-General, joined the conference for a Question & Answer session via webcast from New York, speaking about the importance of the Millenium Development Goals in changing thinking on food and water. Professor Ken Booth, Director of the David Davies Memorial Institute at Aberystwyth University’s Department of International Politics, is one of the conference organisers. 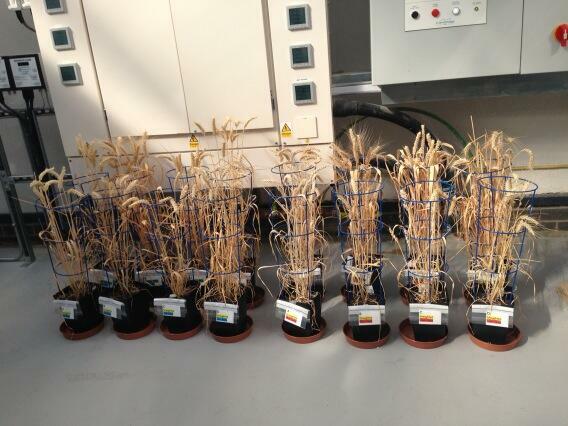 Participants visited Wales National Plant Phenomics Centre where Alan Gay of IBERS showed the results of wheat varieties exposed to different climatic conditions. “Food and water security are the most basic human needs, and Africa is the continent where those needs are most urgently felt”, he said.